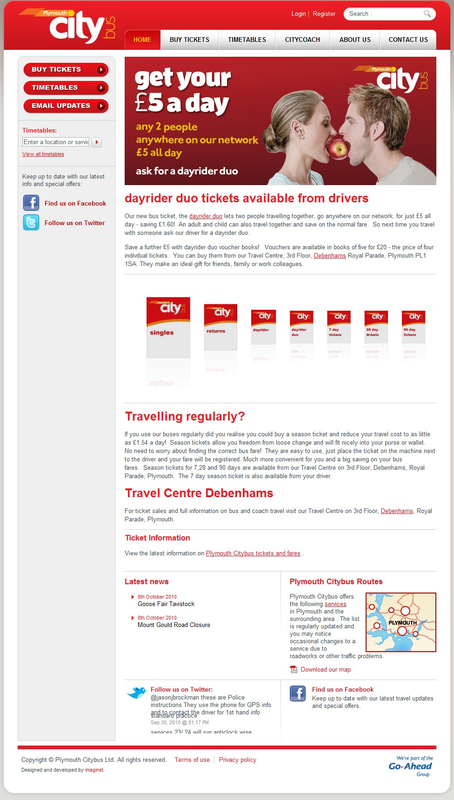 Plymouth Citybus continue their transformation to Go-Ahead with their new web site design now live. It is a much cleaner more professional site as you can see from the screenshots below. 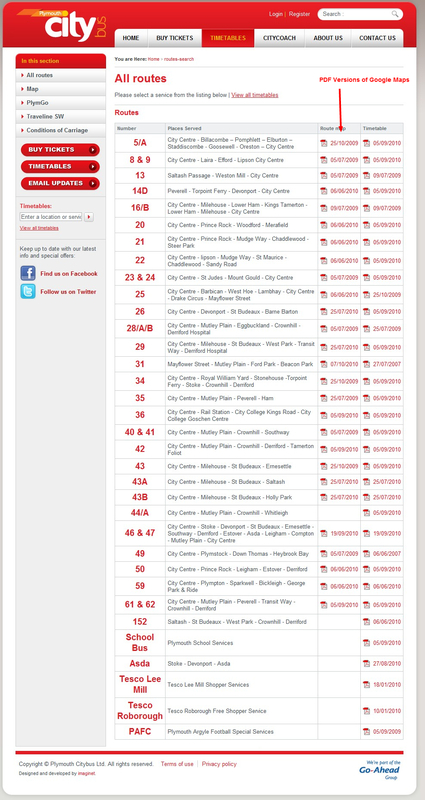 The timetables can be found here and there are finally accurate maps available for each route. These have been produced using Google Maps although they are presented here as images on PDF files which can make it harder to see on some of the large routes but its still a big improvement on what went before. 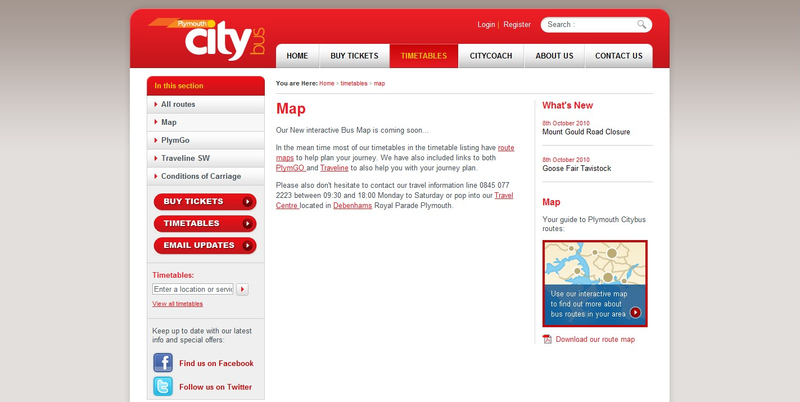 There is the promise of a new interactive map to follow. 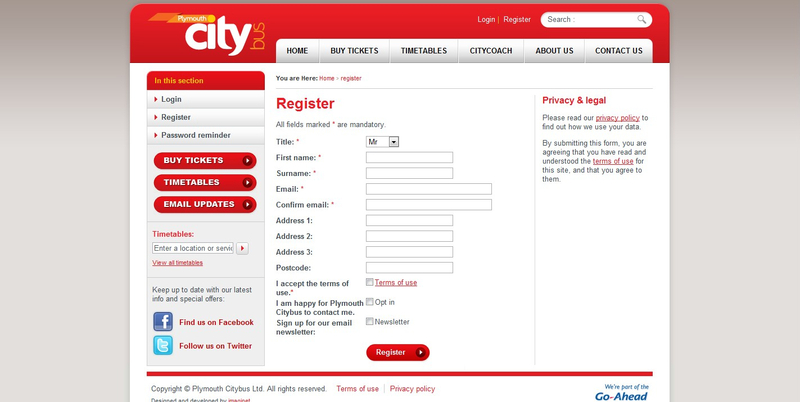 You can even register for further updates although this does not seem to be working at the moment but I am sure this will be fixed shortly. All in all a really a big improvement. This style of bodywork was to be found on the early thirty-six-foot buses built to BET specification in 1962-63.